Escaping the Fargo cold for a little New Orleans romance! Julie and Joe have been together 8 years and counting. 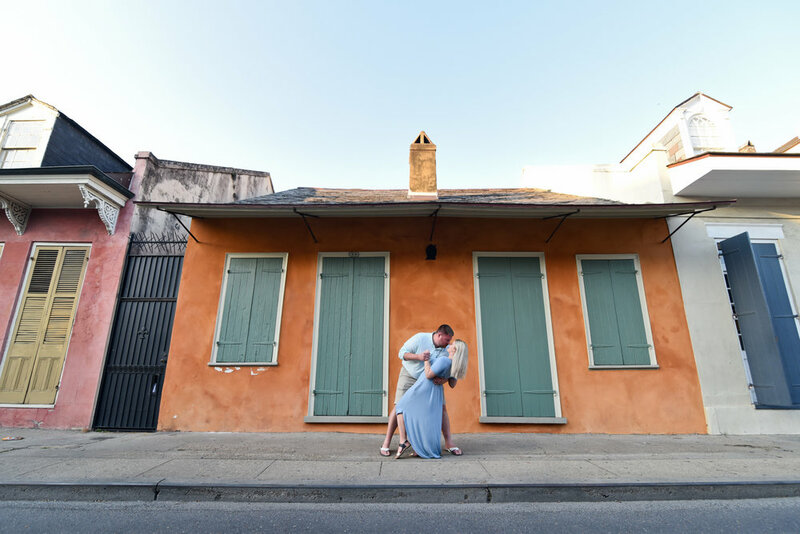 Julie had a date idea that was a perfect way to remember their trip, a romantic photoshoot in the charming french quarter. This couple looks at each out with nothing but love in their eyes and when Julie said that Joe was a bit of a dipper, the next photo had to happen! All in all, together, they made some magic together in the quarter.